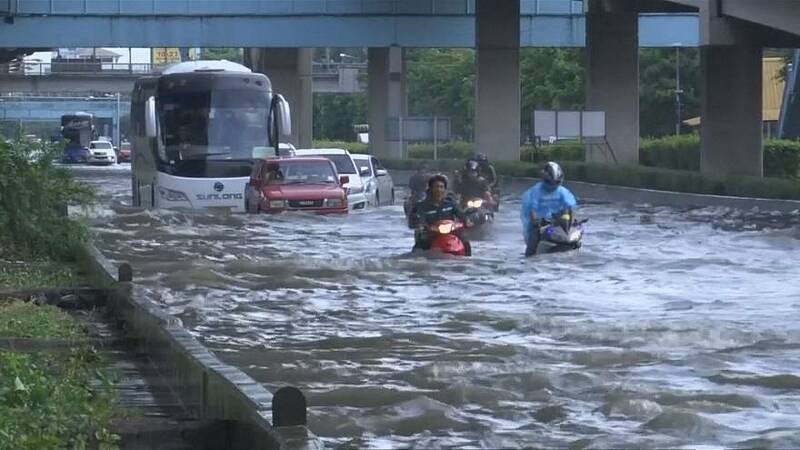 Areas of Thailand’s capital, Bangkok have been severely disrupted after being hit by flash floods. The floods triggered by an overnight downpour were the heaviest Bangkok had seen in 25 years and overwhelmed the city’s drainage system. The water took six hours to recede in some area of the capital. At least 55 major roads were submerged by floodwater which caused traffic jams across the capital with locals forced to wade through thigh-deep water. Weather experts said the heavy rain was the due to the monsoon stretching across the central part of the country.